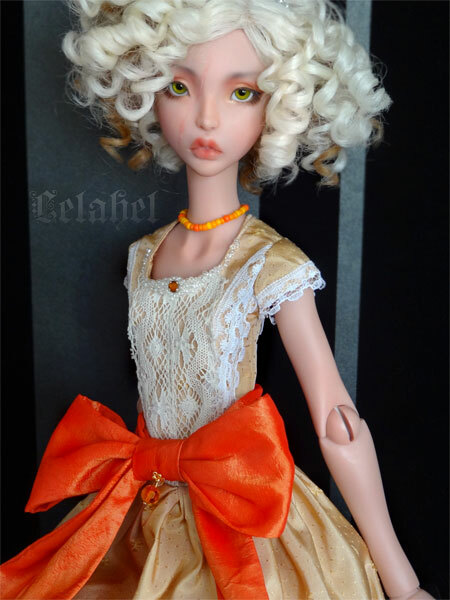 Yes i know, i work a lot on my cerisedoll girl lately. To be honest, i seriously think of putting her for sale and i would like to sew as much as i can before doing it. I like her face pretty much but i have difficulties with her body and every time i try to sew for her or to take pic of her it’s a little more frustrating. 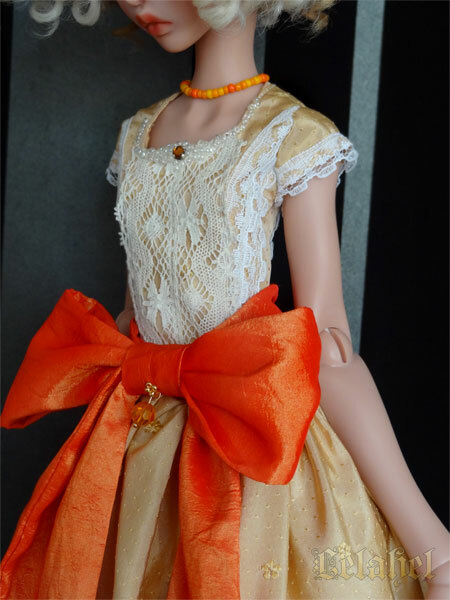 This outfit includes a petticoat closing on the back with press studs, the dress – with press studs on the back also – and the big bow you can put on the back or in front of the doll, depending on your style. 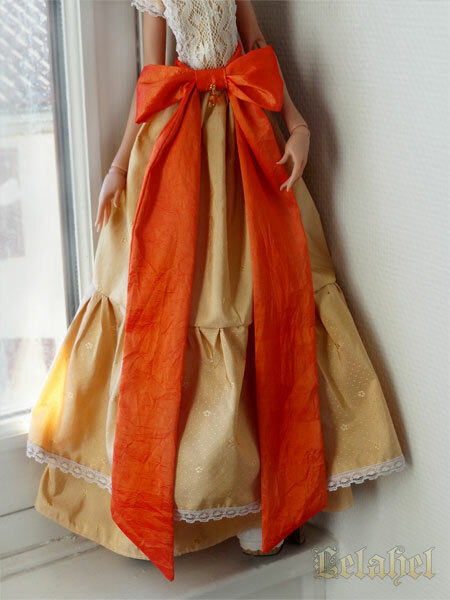 I almost never use orange color but it brings light and some golden reflects in this outfit in my opinion.